My favorite card from last week's class. 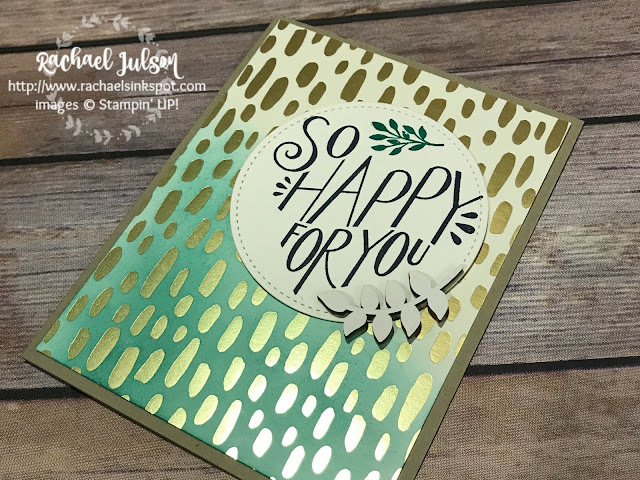 We used the Bundle of Love Designer Series Paper to make this GORGEOUS project glitzed with gold! I also showed them how to make these adorable gift bags. Did you notice how the bag is gusseted in the picture? These bags come flat. Check out this video to see how we "fattened them up" to fit more goodies!